In April 2008, my kids and I decided to explore upper Santa Ynez Canyon - located in Topanga State Park. 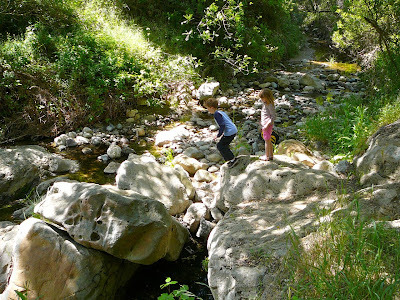 The trailhead is in the Palisades Highlands, in Pacific Palisades. ... with my kids running around. These photos were taken a little over four years ago. 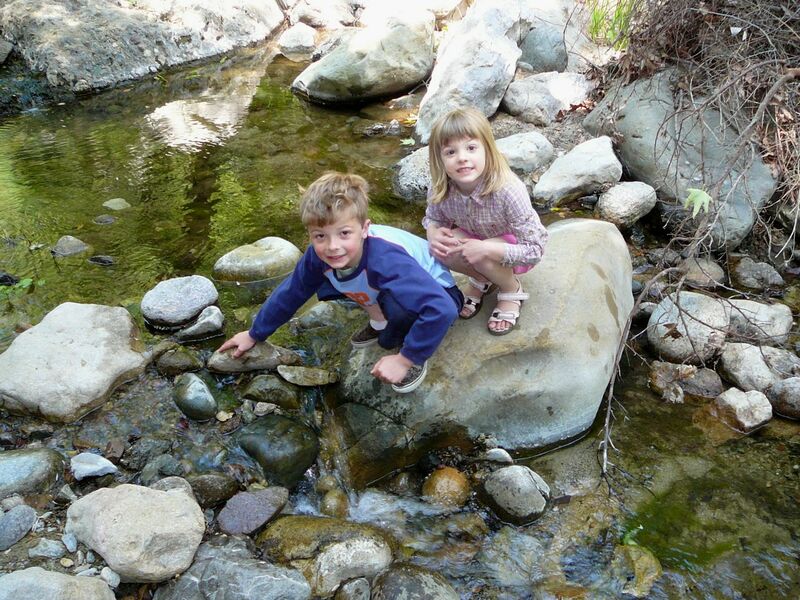 It's amazing how quickly my kids - now 12½ and 10 - have grown. It's just another 6 and 8 years before they take off for college. As a Christian, I'm indebted to the words of Moses: "Teach us to number our days aright, that we may gain a heart of wisdom" (Psalm 90:12). In the case of my 12½ year old son, I've got 312 or so weeks (6 years X 52 weeks) before he transitions off to college - I don't want to waste any of that time. 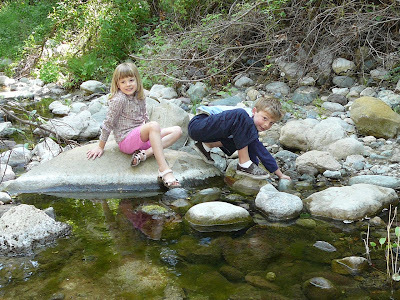 Southern California's unique Mediterranean climate means many of the creeks and smaller streams in are seasonal - running full in the winter and spring. Dry by mid-summer. Not much more I can add: my kids exploring and playing. This a really a special little place. Hard to believe, but this - like the rest of Topanga State Park - is all within the Los Angeles city limits. Heading back home through the canyon. While creek is dry by mid-summer, the large sycamores and live oaks in the canyon make for a great summer hike. Like all canyons in Southern California, there is poison oak, so just be aware. 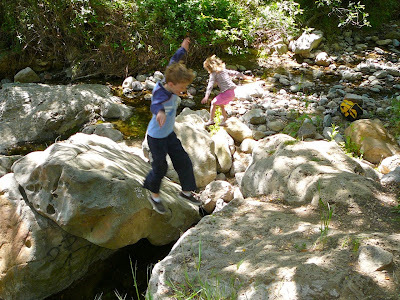 Because I had my kids, we were extra careful - wearing long pants/long sleeve shirts while on the trail. We came up here a couple other times when we lived in Los Angeles. The trailhead is located at 17394 Vereda De Montura, Pacific Palisades. No major elevation gains, and a beautiful canyon. It's a neat area to explore, even with - or especially with - kids. 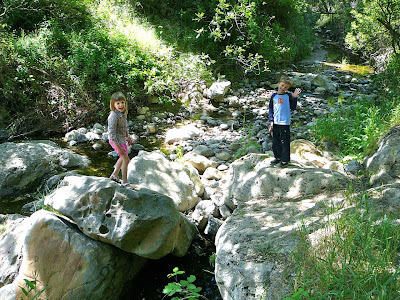 Another creek hike is in Upper Temescal Canyon, which features a small (OK, very small) waterfall. 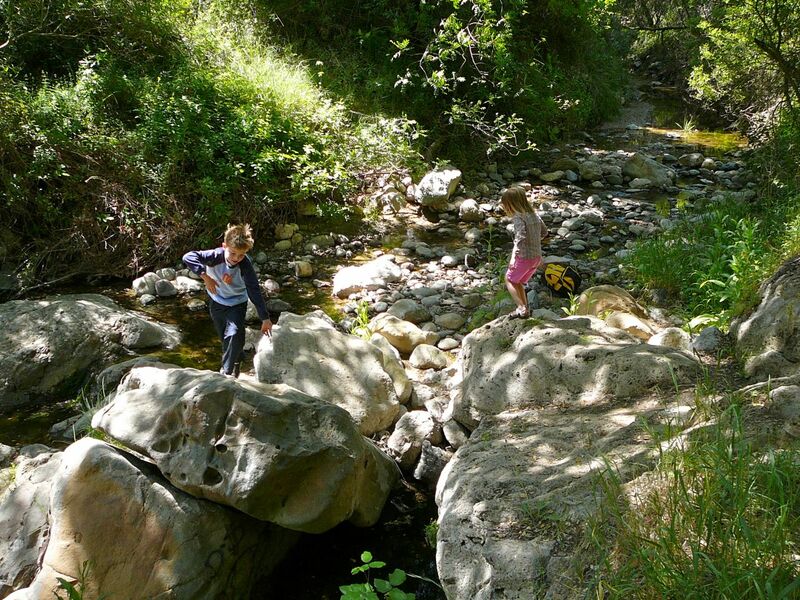 The Temescal Canyon loop is a very popular hike. 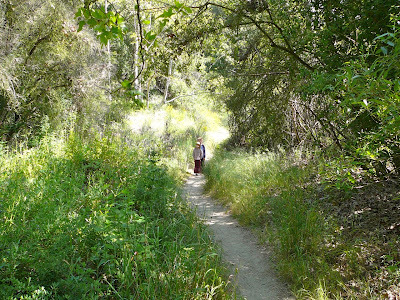 Meaning the trail can get crowded - very crowded - especially on weekends. If you're willing to forgo a hike along a creek, I suggest the Temescal Canyon ridge hike (trailhead at the top of the Palisades Highlands) - what I consider one of the very best hikes in Los Angeles. What it lacks in terms of running water, it makes up for it in some spectacular views. 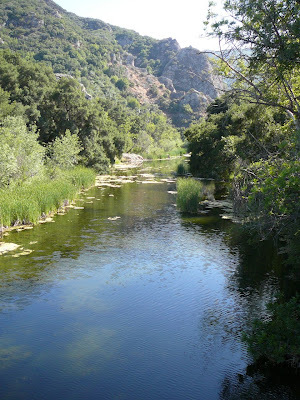 Finally, if you'd like to experience a creekside hike, even in the middle of the summer, try Malibu Canyon State Park. This is also where the old MASH tv show was filmed, as well as dozens of movies and other tv programs. Here's a great link to their site. 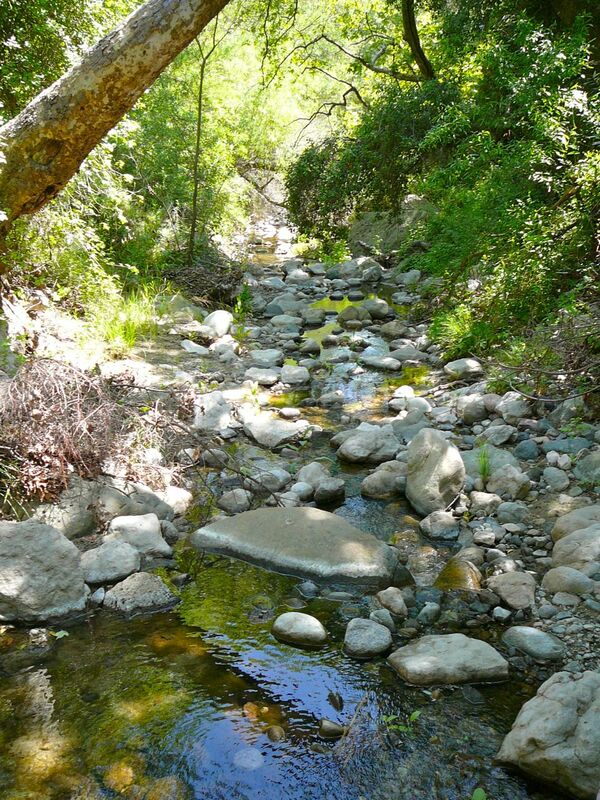 This is honestly just scratching the surface of hiking throughout the Santa Monica Mountains National Recreation Area, part of the National Park Service. Another great site is Hike Speak (above). 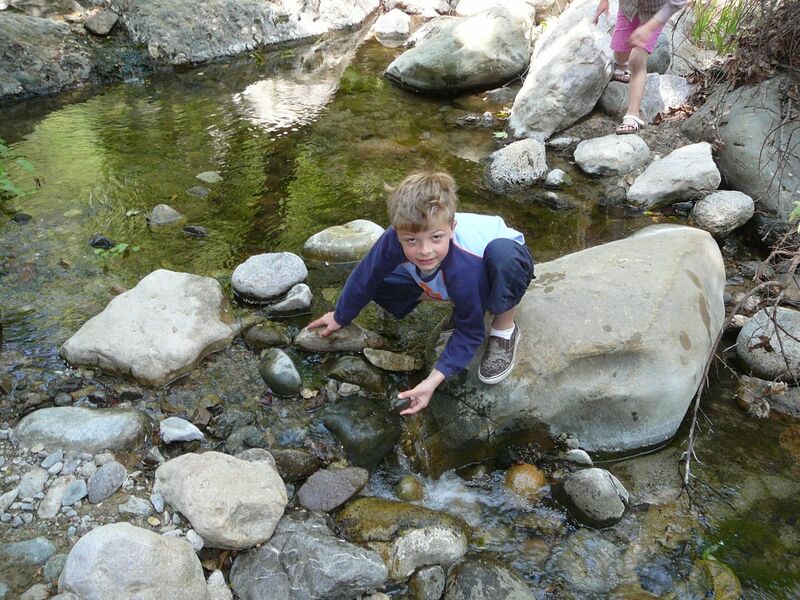 Here's a link to their page on the Santa Monica Mountains, featuring over sixty - yes, sixty! -hikes from Griffith Park to Malibu.